In the wake of a devastating disease, everyone older than sixteen is either dead or a decomposing, brainless creature with a ravenous appetite for flesh. Teens have barricaded themselves in buildings throughout London and venture outside only when they need to scavenge for food. The group of kids living at Waitrose supermarket is beginning to run out of options. When a mysterious traveler arrives and offers them safe haven at Buckingham Palace, they begin a harrowing journey across London. But their fight is far from over — the threat from within the palace is as real as the one outside it. Full of unexpected twists and quick-thinking heroes, The Enemy is a fast-paced, whiteknuckle tale of survival in the face of unimaginable horror. Stand alone or series: Ostensibly the first in a series (I hope! ), but can be read as a stand alone novel. Why did I read this book: Let’s do a brief breakdown, shall we? Post-Apocalypse – check. Young Adult – check. ZOMBIE ADULTS – check. Seriously, this book has “Thea” written aaaaaall over its gorgeous black sided pages. Following the outbreak of a deadly virus, anyone above the age of sixteen has either died, or turned into a maurading, flesh-hungry, mindless creature – that is, a zombie. These adults aren’t truly zombies as they aren’t technically dead, but like 28 Days Later or the recent film adaptation of I Am Legend, they share the same sort of…joie de le vivre. The children left behind, terrified and untouched by the strange affliction that has turned their parents, older siblings, teachers and neighbors into ravenous beasts, have banded together. Gravitating to the supermarkets that their parents shopped at, the kids group and fortify the stores, and The Enemy opens with one of these groups, the Waitrose kids. Even with the walls they have rigged up, the grownups remain a constant threat and the first chapter opens with a breach and the loss of Small Sam, taken by the “moms” and “dads.” Maxie, the second in command of the Waitrose kids, mourns the loss of the young Sam and anxiously awaits the return of leader Arran and his scavenging party. All is not well with Arran, however, as he and his crew come into a skirmish with adults, and Arran is bitten. Reunited at Waitrose, they children regroup and rest, but then fate comes calling. An unknown teenage boy in a patchwork coat calls for help outside their walls, and when they let him in, he has quite a story to tell. Jester, as the boy says his name is, comes from a group of children fortified in – no joke – Buckingham Palace. He claims that they have supplies, established order, and have even begun to grow food. Jester’s role is to seek out new recruits to join the palace, and he implores the Waitrose kids to set out with him. And, after a brief debate, the group decides to strike out for the city center, leaving the stagnant halls of the supermarket behind. Following Jester’s lead, the Waitrose kids team up with the neighboring Morrisons kids (the other grocery in the area) and make their way to Buckingham Palace. But what they find along the way, and at the palace itself isn’t all sunshine and ponies. As the kids’ numbers dwindle and tensions between the Buckingham Palace kids and the newcomers grow, it becomes clear that even though the zombie-like adults are the enemy, there are far worse dangers and evils among supposed allies. I immensely enjoyed The Enemy, from dramatic opening sequence to its gritty conclusion. The plotting is deft, alternating between two separate main storylines – one following Small Sam as he bravely flees his captors, the other following Maxie and the Waitrose/Morrisons kids as they journey to (and ultimately reach) Buckingham Palace. In many ways, Mr. Higson’s novel is similar to Michael Grant’s Gone books – there’s the same fast plotting and tight action, the same large cast of young characters (though focusing on a central few), the same unspeakable horror – both supernatural and very sadly human. The Enemy manages to be action-centric (with no shortage of gore and gristle) as well as driven by strong, sympathetic characters, and surprisingly thought-provoking all at the same time. As this is a “zombie” novel (well, sort of), there is a copious amount of gore and violence, as is the genre’s prerequisite, but like the best works in the zombie canon, Mr. Higson manages to go beyond simple shock factor and poses some intriguing questions about human nature. One of the things I love the most about the aforementioned Gone books and holds true for The Enemy too is the explication of human nature each book holds – which is even more resonating as these stories are told through the perspective of children. Fear, cruelty power hunger, and violence know no age limits after all, and it’s very interesting to see how these children behave in a world without parents. Well, with parents that are intent on eating them alive. 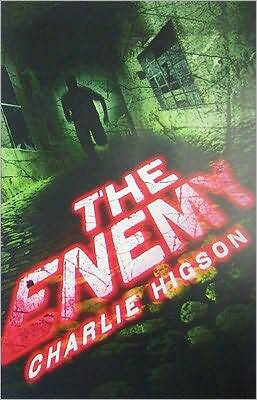 It also bodes mentioning that Charlie Higson has created a very well conceived world with his version of the apocalypse. Starting a book post-apocalypse (as The Enemy opens long after the initial outbreak) is an interesting choice, but also means that instead of focusing on the initial chaos, The Enemy can focus on the equally interesting aftermath. I loved the idea that these children would naturally gravitate to the stores at which their parents shopped, and how they all banded together along those dividing lines. The images of a decayed London, the diseased adults overwhelming the Underground, sleeping in Wembley Stadium, and children taking over Buckingham Palace, it’s all deliciously evocative stuff. But the most impressive thing about The Enemy is the strength of its characters. Mr. Higson casts a wide net with his protagonists – and in true ensemble cast fashion (ahem, Lost), he’s not afraid to kill his characters. This is both awesomely realistic, but also heartbreaking at the same time. Many a character falls in this book, and after getting to know these children, it’s a hard thing to say goodbye to them so suddenly. But, that’s the zombie apocalypse (well, sort of) for you, right? There’s nothing more infuriating in a disaster movie than to see every single one of the hero characters survive – and I’m very impressed with Mr. Higson’s resolve in this book. As for the characters themselves, Maxie and Small Sam are the clear favorites – the former for her strong yet sympathetic nature as a leader, the latter for his six-year-old innocence and bravery. That’s not to say that all the characters are sweet, angelic heroes, however – just as with any large group, each character has their positives and negatives. There’s the ruthless fighter Achilleus, the slippery wily Jester, the calculatingly intelligent Ollie, juvenile delinquent Freak…it’s a good mix. And best of all? The Enemy ends with hope – for the kids, and for us readers, as there is a ton of room for a sequel. I can only hope that Mr. Higson has book 2 underway. ‘Yes it is,’ said Deke, who loved destroying things. In the early days, just after the disaster had happened, and before he understood the dangers, Deke had wandered the streets in delight – breaking, burning, smashing – hardly able to believe that there was nobody around to stop him and that he could do whatever he wanted. 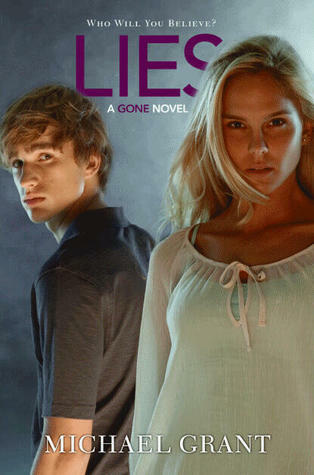 Additional Thoughts: As I mentioned earlier, fans of The Enemy will certainly love the Gone books by Michael Grant – so far, comprised of Gone, Hunger, and Lies. Verdict: Highly enjoyable, thought-provoking, and delightfully action (and guts) filled novel, The Enemy seizes you by the jugular and doesn’t ever let up. I hope there is more in the future for the kids of Waitrose – I’ll be first in line for the sequel. Rating: 7 – Very Good, narrowly missing an 8 only because I *know* there is more to come from this series. Ooooo – I was hoping this one would be good. There is a sequel coming out, The Dead though I’m not sure when :). I listened to this one, very sniffle-producing. This was such a good book! I am looking forward to the sequel. I saw that book trailer and thought WOW! sounds great! Soooooooo glad to hear it is good. Thanks for the indepth review. Waitrose and Morrison’s? Does this reflect/affect the interaction between these two groups? I’m wondering because, you know, Waitrose is socially miles ahead of Morrison’s. I’m getting cranky that so few YA novels are digitally available. Boooo! Took one of my rare trips to the city today – came home with this and The Steel Remains. Can’t wait! Celine – Oh yes, this one is AWESOME! Totally tottering TBR-pile-worthy. Karen – Huzzah!!! Thank you! I cannot wait for the sequel. Julie – You and me both, dude! So glad you loved this book too. I have a feeling the nex one will be even better. Jill – The book trailer is awesome, isn’t it? You should check out the website too, there’s a ton of great press on there, including the book release party – complete with zombies, of course. Hopefully this book, and others, will be available in digital format soon. It is really frustrating, isn’t it? Hmph. Celine – Awesome!!! Hope you enjoy! I am new to the genre – what are some other horror novels that you would recommend? YA or adult, it doesn’t matter. I am trying to read outside my comfort zone 🙂 The Enemy proved to me, yet again, that reading different stuff is a good thing! I already have the Gone series on my wishlist.